We’re working with our partners in Ghana and Nigeria to devise new ways to collect valuable data about onchocerciasis, also known as river blindness. 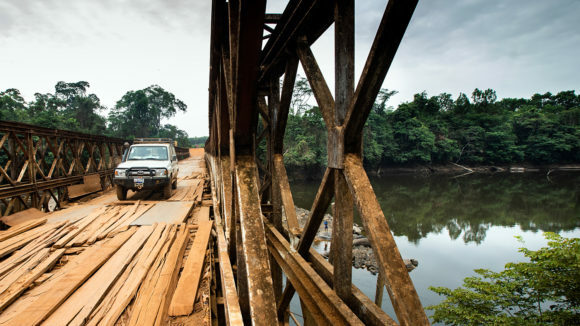 Sightsavers has been working with partners to develop stronger, more efficient ways of mapping the spread and transmission of onchocerciasis, to help towards elimination. 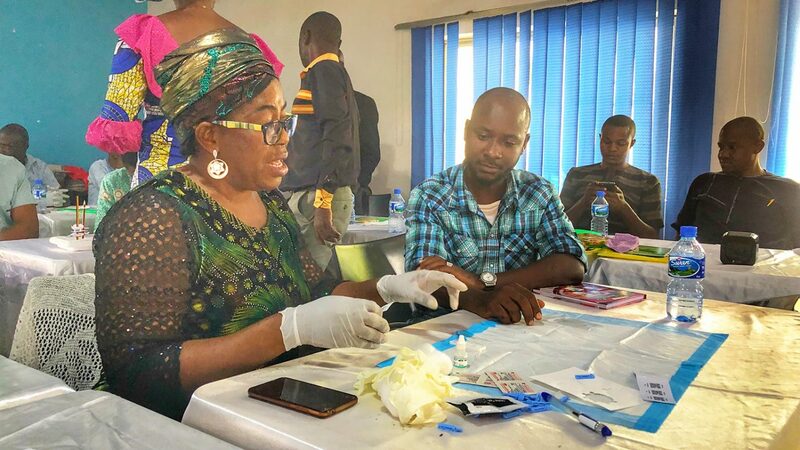 The pilot project has been taking place in districts of Nigeria and Ghana, in areas that have never been treated with ivermectin (the medication used to control the spread of the disease). 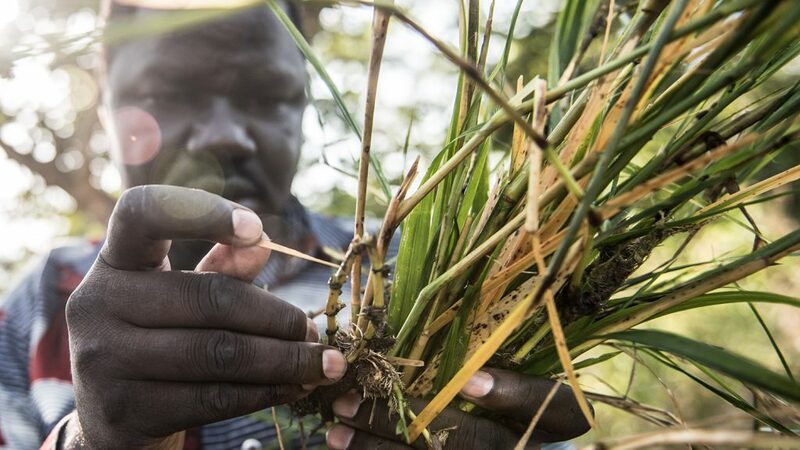 The aim is to test a protocol for mapping the disease, recommended by the World Health Organization’s Onchocerciasis Technical Advisory Subgroup, and to develop technical expertise locally before rolling it out to other areas in 2019. The collaborative project is being carried out in close coordination with WHO and WHO/ESPEN, the Task Force for Global Health, the Bill & Melinda Gates Foundation and many other partners. 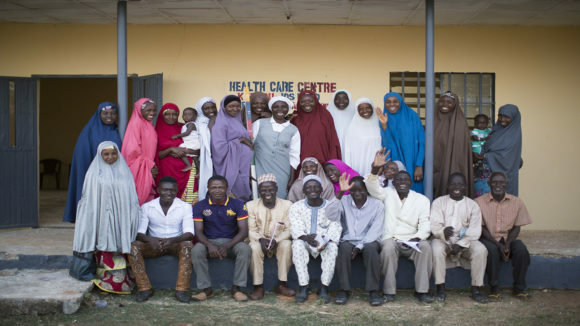 The gallery below shows photos from the pilot project in Nigeria. What has the OEM Project achieved so far? The Onchocerciasis Technical Advisory Subgroup held its first meeting in October 2017, at which it drew up an initial framework to help gather evidence to develop new mapping guidelines. During the first few months of the project, we coordinated with national programmes, built coalitions and devised a training curriculum, and looked at procurement processing and refinement of key operational research questions. 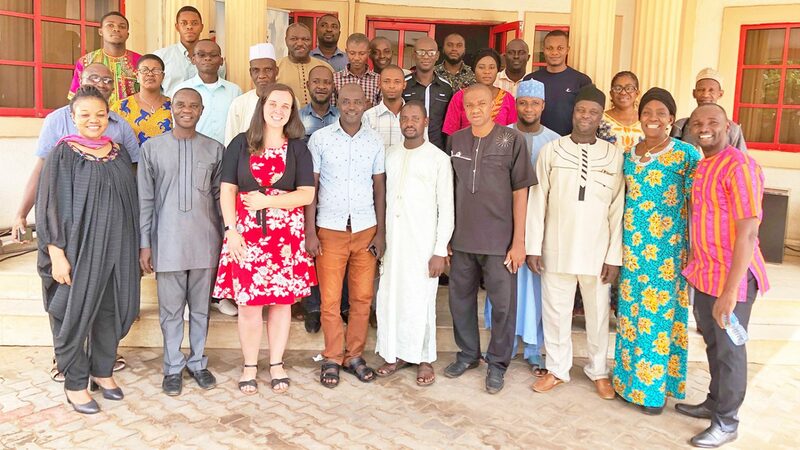 An external Programme Advisory Group of onchocerciasis experts met in March 2018 to discuss OEM data collection forms, management and communication strategies, exclusion mapping, and the methodological approaches for the pilots based on OTS recommendations. 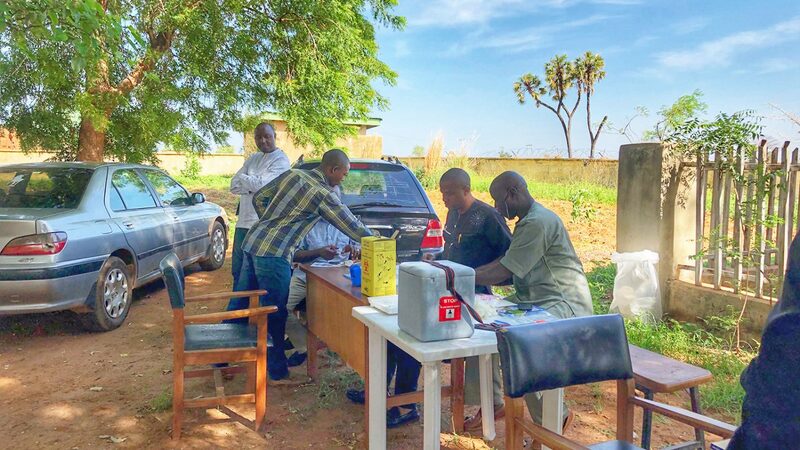 Completed fieldwork in Nigeria and Ghana where 5,431 people were surveyed and tested for exposure to the parasites that cause river blindness – 1,810 in Nigeria and 3,621 in Ghana, with additional surveys planned in Nigeria during the last quarter of 2018. Results from the pilot have demonstrated that certain areas considered to be a low priority for treatment under a control programme may need ivermectin treatments to eliminate the disease from the country. 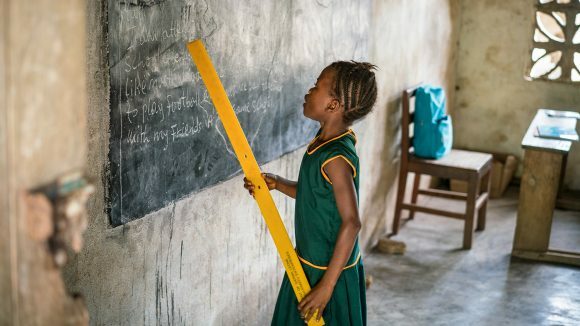 With the results generated from the pilot in Ghana and Nigeria, the programme will focus on implementing the project in selected districts in Mozambique in 2019. This will help to establish best practices for data collection, data visualisation and decision-making, with a view to create a template for scaling up OEM in other countries. The project will also continue coordinating with partners focused on strengthening national laboratory capacity for diagnostic processing. National onchocerciasis programmes and partners will then be encouraged to prepare for OEM by reviewing their own data and identifying districts that have not yet been treated or mapped. The aim for OEM is for onchocerciasis to be eliminated, and for partners to collaborate to map onchocerciasis in areas of Africa where the disease is less prevalent. The UNITED programme has now been completed, read our lessons learnt to inform future integrated neglected tropical disease programmes.